Lo Blacklock, writes for travel magazine, Velocity, and has the good fortune to cover her boss’ maternity leave, which sends her on-board luxury boutique cruise ship, Aurora Borealis. Lo is supposed to network for the magazine and send back a piece on the decadent cruise liner. However, before she leaves for the cruise her flat is burgled and once on the ship she has an eventful first night when she hears a scream and the sound of something large being thrown overboard from the terrace of her neighbouring cabin. When she reports this on board the ship she is told that the cabin next door to her is empty, but Lo spoke to the woman in there to borrow mascara, so what happened to her. This is my second book from Ruth Ware, I read In a Dark Dark Wood last year and liked it. I found the suspense and suspicion written into the story very interesting and Ruth Ware certainly knows how to set a scene when it comes to mystery. The fact that this takes place on a ship in the middle of an ocean gives the story a slight claustrophobic setting, which I enjoyed. Lo is not an easy going character, she is quite tightly wound and has emotional baggage, which ends up with her aboard the cruise. The twist when it comes is reasonably plausible and I found the story overall quite enjoyable with a number of suspicious and suspiciously behaving characters to suspect. There are things that perhaps could have been done better, but this quick mystery read was definitely worth reading and I look forward to more from Ruth Ware in future. This title will be published on 30 June 2016. I liked it more than her first one. I love when an author can set up a scene well. I don’t read many crime novels but I read one a few days ago which had fantasy and crime woven in – loved it. I think I’m getting slightly addicted to psychological thrillers, but this one I could imagine watching on TV. I enjoyed this one too! Although, I think I preferred In a Dark, Dark Wood, mostly because I loved the glass house setting. 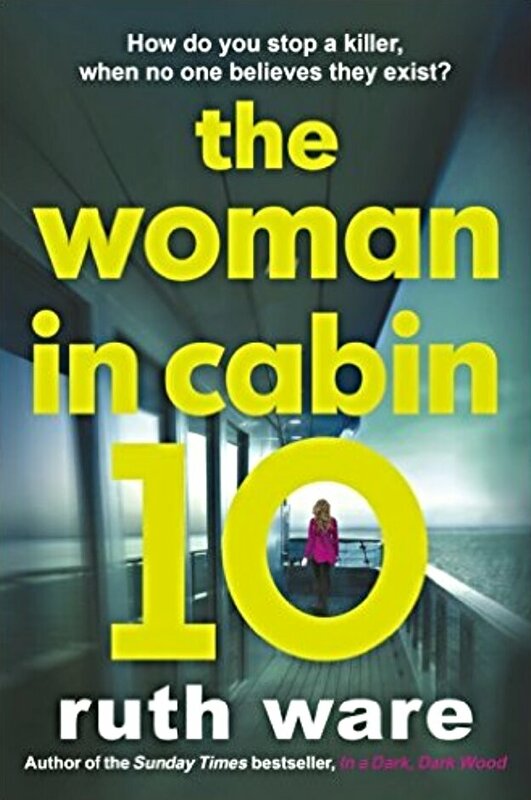 The Woman in Cabin 10 felt less creepy but more like an old school Agatha Christie mystery. I found the boutique ship claustrophobic and isolating, which added to the chill factor, but I did love In a Dark, Dark Wood too.